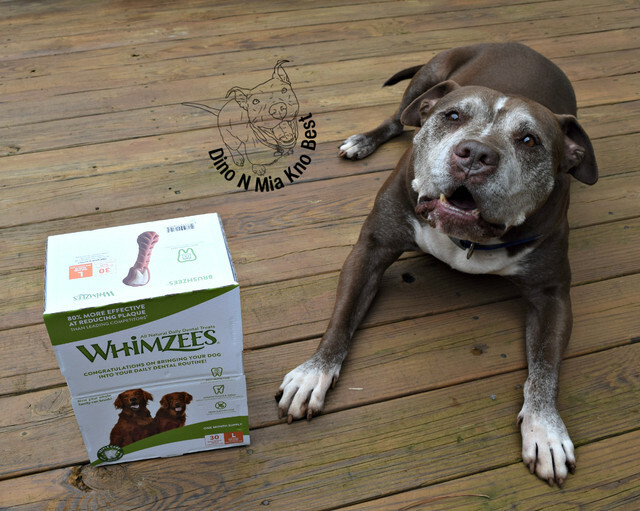 Whimzee Brushzees are limited ingredient, GMO-free, gluten-free, grain-free, vegetarian, and completely without artificial flavors or colors. Helps remove plaque, tartar and bad breath. 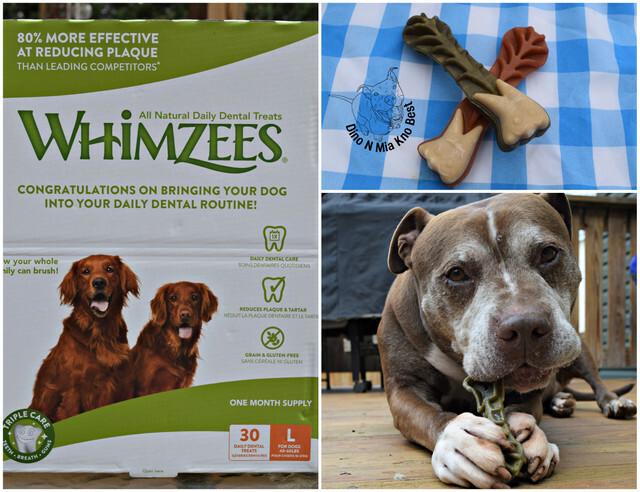 Uniquely-shaped chews are crafted with grooves to help clean the smaller spaces between dogs’ teeth, and ridges to help ensure proper blood flow through the gum. These are harder than my dogs normal dental chews. Dino was the only one who liked the Whimzees. He likes more harder chews than the girls. I really like how these are limited ingredients. Whimzee are Available in all different sizes & some fun shapes. Ingredients: Potato Starch, Glycerin, Powdered Cellulose, Lecithin, Dried Yeast, Malt Extract, Sweet Lupin Meal, Alfalfa Extract, Paprika Extract.